You might not be aware of a trend in the corporate valuation world. You might not think that developments in how companies are being valued by the financial world would be of interest to HR. But, hold on to your horses! Validation of “our people are our greatest asset” is here! Tangible Asset (from Investopedia): A tangible asset is an asset that has a physical form. Tangible assets include both fixed assets, such as machinery, buildings and land, and current assets, such as inventory. The opposite of a tangible asset is an intangible asset. Intangible Asset (also from Investopedia): An intangible asset is an asset that is not physical in nature. Corporate intellectual property (items such as patents, trademarks, copyrights, business methodologies), goodwill and brand recognition are all common intangible assets in today’s marketplace. Tangible assets are things. Physical things. 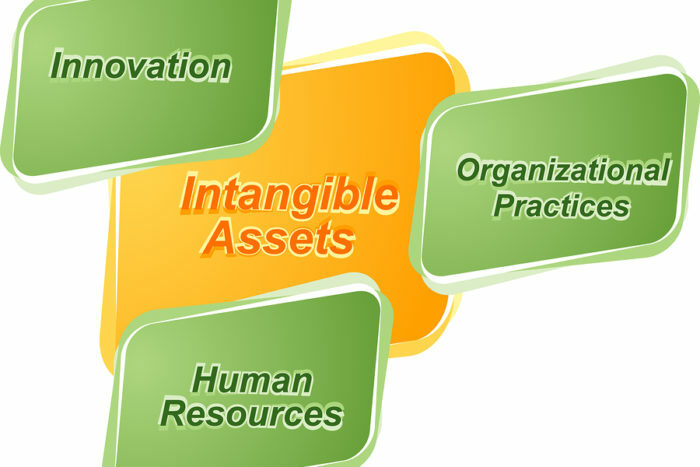 Intangible assets are the results of human intellect and work. And the financial value of those – tangible and intangible assets – have completely reversed in the last 40 years. Completely! Ocean Tomo provides the following chart showing this complete reversal. If ever the argument was made that our people are, in fact, our biggest asset, this nails it. In 1975 tangible assets comprised 83% of the S&P 500 market value; in 2015 intangible assets made up 84% of the S&P 500 market value. That means people, human beings are the greatest driver of corporate value — and not by a little bit. So here’s the question: If the finance/valuation world is truly valuing our organizations based on the value of our human capital, why is it so hard to talk about – much less act upon – the value of building cultures fit for human beings? This originally appeared on China Gorman’s blog at ChinaGorman.com. China Gorman is a successful global business executive in the competitive Human Capital Management (HCM) sector. She is a sought-after consultant, speaker and writer bringing the CEO perspective to the challenges of building cultures of humanity for top performance and innovation, and strengthening the business impact of Human Resources. Well known for her tenure as CEO of the Great Place to Work Institute, COO and interim CEO of the Society for Human Resource Management (SHRM), and President of Lee Hecht Harrison, China works with HCM organizations all over the world to enhance their brands and their go-to-market strategies. Additionally, she serves on the Executive Committee of the Board of Jobs for America’s Graduates as well as the Advisory Boards of Elevated Careers, the Workforce Institute at Kronos, and WorldBlu. Addtionally, she chairs the Globoforce WorkHuman Advisory Board and the Universum North America Board. China is the author of the popular blog Data Point Tuesday, and is published and frequently quoted in media properties like Fortune, TLNT, Huffington Post, Inc., Fast Company, U.S. News & World Report and many others.